Berger is your partner of choice when it comes to the production of high-quality organic culture. Being a professional in the organic production industry requires even more care, scheduling and timing than standard culture. Offering producers the ability to easily steer their crops from one growth stage to the next with predictable results, Berger enables professional growers to optimize their production and obtain exceptional profit-making output. 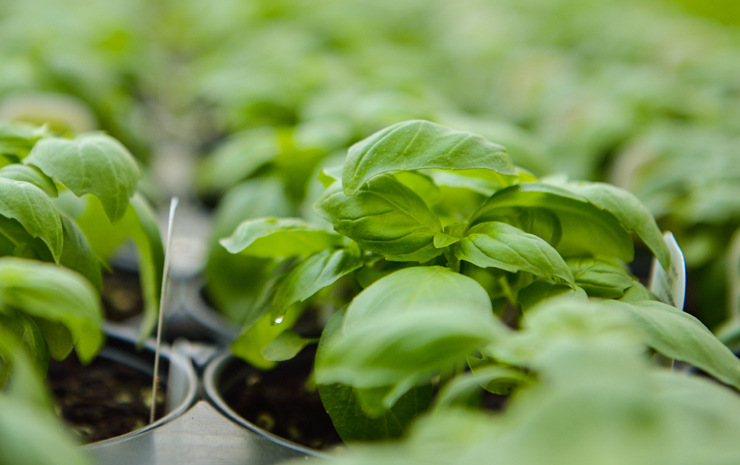 Berger’s rigorous quality control system guarantees that your organic plants will have identical physical and chemical characteristics from one load of crops mix to another, ensuring a remarkably uniform product. Manufactured with high-quality components listed by OMRI, these professional growing mixes are adapted to your needs and are designed to maximize your results. Berger helps you produce the best quality organic crop possible. Higher peat content with vermiculite and compost that increase CEC and nutrient content capabilities. Authorized for organic production. Organic purpose high-quality plug mix for unmatched uniformity during seed germination and seedling production. OM2 is listed by OMRI. An aggregate-free mix manufactured with carefully selected high-quality sphagnum peat moss which provides consistent physical characteristics for predictable results. Authorized for organic production. An aggregate-free mix manufactured with carefully selected super coarse sphagnum peat moss which provides higher drainage. Authorized for organic production. General purpose organic mix for quick turnaround production. OM6 is listed by OMRI. General purpose organic mix for quick turnaround production and higher perlite for additional drainage. Authorized for organic production. This presentation covers some of the most important elements to consider for a successful transition, including fertilizers.